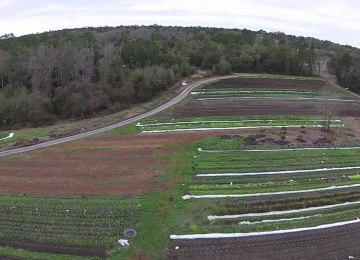 Walk through the journey of the organic certification for Cody Galligan of Siembra Farm in Gainesville, FL. Inspired to simplify communication at the farmers market and to be part of the bigger organic movement, Cody takes us through each step as he prepares his recordkeeping strategy and experiences his first inspection. 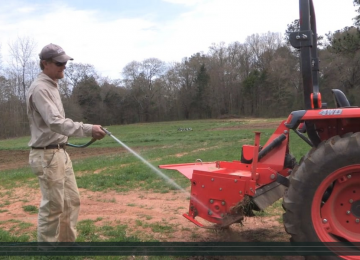 If you want to see the process from beginning to end for a farmer who’s already using organic practices and wants to get certified, this video is for you. Meagan Collins, an organic inspector, provides a detailed overview of the USDA standards for organic crop production. Do you want a thorough overview of the entire requirements, including buffer zones, farming practices, manure application, seed/planting stock, disease/pest management, fertilizer, etc? This video is for you. Since certification costs vary depending on the type of operation and the certifying agent, it’s important to understand the fee structure variables before you take the dive. 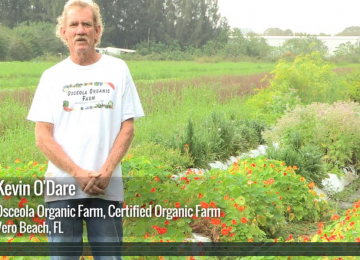 Seasoned organic farmer, Eva Worden, Ph.D., of Worden Farm in Punta Gorda, FL and Meagan Collins of QCS break it all down for us and offers a synopsis of the Organic Certification Cost-Share Program. 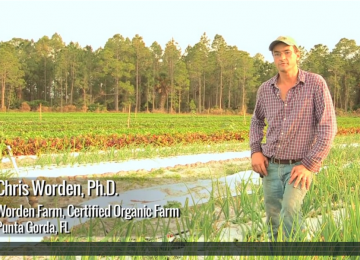 Seasoned organic farmer, Eva Worden, Ph.D., of Worden Farm in Punta Gorda, FL, offers the precise regulatory definition of “organic” according to the USDA and gives a summary of the backdrop of how this word became defined and regulated. Curious about the details of what types of operations are exempt or what the fines are for violations or fraud? This video is for you. 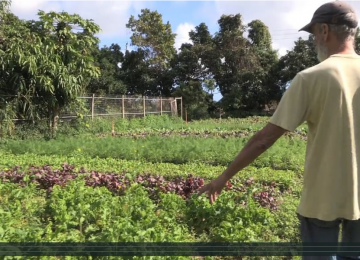 Tropical fruit grower, Marc Ellenby, in Homestead, FL has conventional and organic groves. He maintains separate properties, separate records and separate packing facilities. 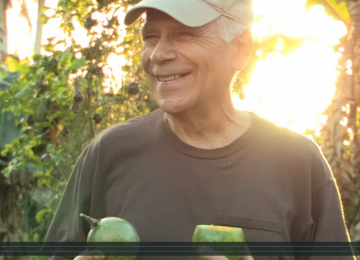 After 35 years of production, two of his children are now working with him and he’s looking to diversify his marketing and slowly transition crops to organic production. His unique position and perspective should not be missed! Want to know the gamut of things an inspector might look at? Eva Worden, Ph.D. will help you be prepared. When you’re buying a farm or just getting started, here’s what you need to know about the requirements in order to be in compliance from the get-go. Meagan Collins, an organic inspector, delineates the differences in what types of information a certification agency can provide versus a consultant. 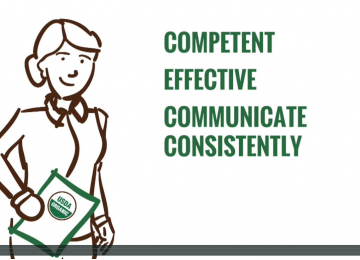 Eva Worden, Ph.D. of Worden Farm explains what variables you should consider when choosing a certification agency. 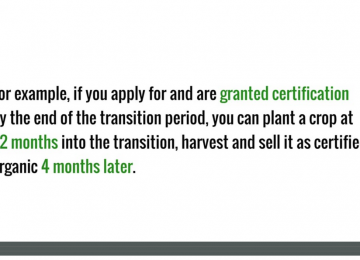 Organic farmers also share their perspectives on what’s most important to consider when seeking a certification agency. 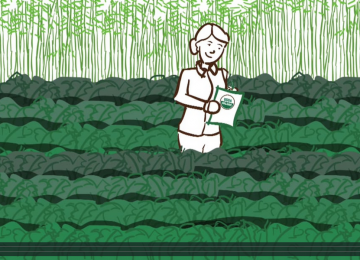 Hear from an organic inspector dish the dirt on how to handle any non-compliances that arise. Seasoned organic farmers share real world examples and lessons learned so you can learn from their mistakes. 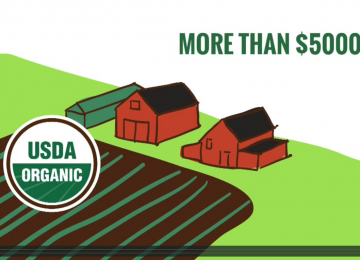 What value do growers see in being certified organic? 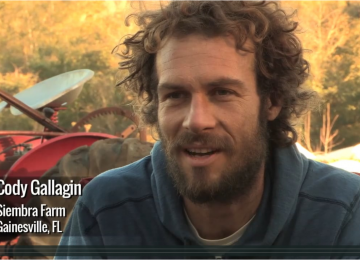 Hear directly from a range seasoned organic farmers about the gamut of benefits. Before reaching for a quick solution for pests or disease, organic farmers must use a systems approach to mitigate problems before they arise. Organic Inspector, Meagan Collins, explains. 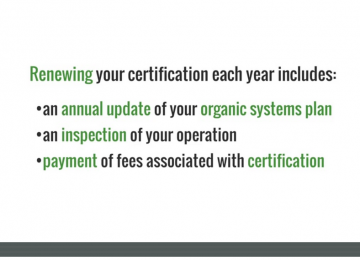 What’s involved in the annual renewal of your organic certification? Here’s what you need to know. Seasoned organic farmer, Eva Worden, Ph.D., of Worden Farm in Punta Gorda, FL posits that any specialty crop grower should consider organic certification simply for the market value. If you’re growing conventionally and feel daunted by what the 3-year transition entails, this video is for you. 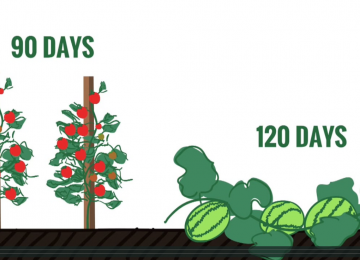 Did you know you can start planting before the end of the three year transition period? Eva Worden, Ph.D. shares her perspective on the what might happen for farmers during their transition period. How do farmers decide when to use inputs? What must be done prior to using an input? 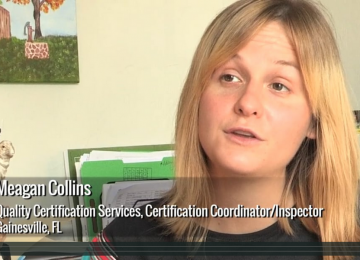 Hear directly from organic inspector, Meagan Collins, about the details. What does it mean to have a split or parallel operation? Hear from an organic inspector about what you need to know in order to maintain the organic integrity of your crops, if you’re also growing conventional crops. Since Donna Miller lives on her farm and drinks water from the well, she made the decision to transition to organic production. 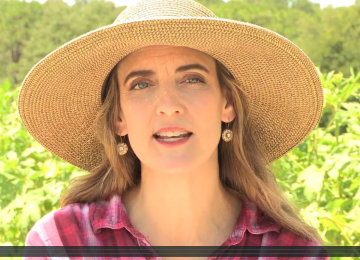 Hear how she made it through the three year transition and now runs a successful organic blueberry farm in Inverness, FL. 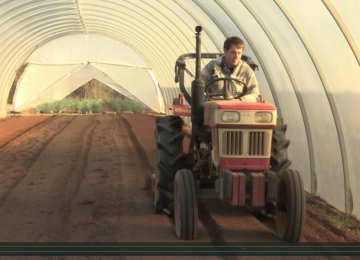 Which aspects of farm life do organic farmers keep track of in their records? What is required? 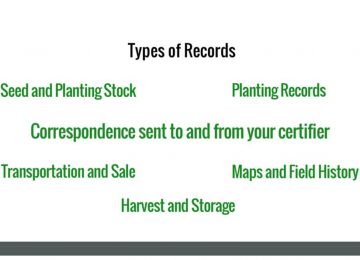 Seasoned organic farmers give a broad overview of acceptable recordkeeping systems and how it serves them. A spectrum of organic growers shares their perspectives on how organic certification has presented market opportunities for their businesses. 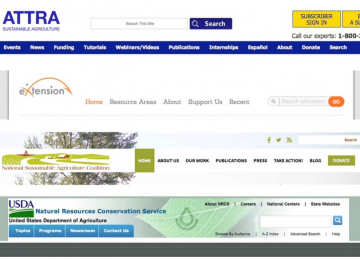 Wondering about EQIP funding for organic growers and other NRCS programs? 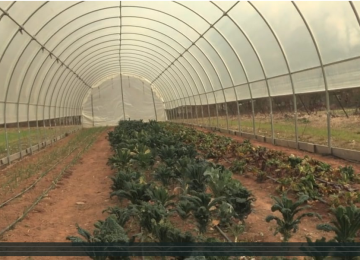 Hear how Chris Worden, Ph.D. of Worden Farm has utilized many programs throughout the years. Want to avoid mistakes in your operation? Hear from these seasoned organic farmers about real life examples of how they kept in contact with their certifier to persist and be successful. Curious about the regulations on labeling organic products once you’re certified? 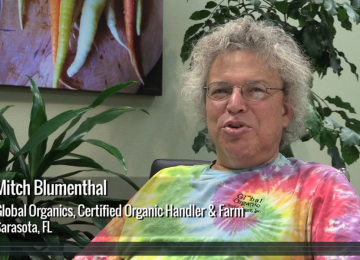 Hear the details from seasoned distributor, Mitch Blumenthal, and organic farmer, Eva Worden, Ph.D. 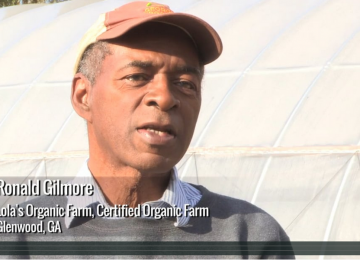 Need an overview of what resources are available for organic growers? Dig into this broad overview of the most robust offerings available. 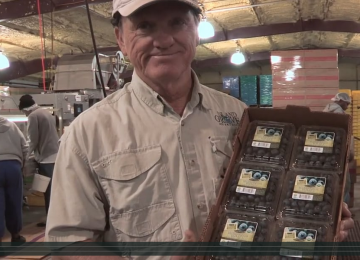 Nestled in Lochloosa, FL, Ken Patterson owns 197 acres of blueberries, most of which is certified organic. 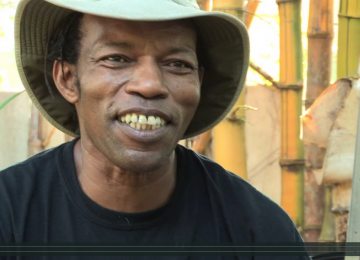 Originally motivated by the economic benefits of the organic market, he transitioned land in phases. Their harvest, flagging and recordkeeping systems prevent commingling and their cleaning protocols allow for equipment to be utilized in both growing systems. Seasoned organic farmers dish the deal on how they approach their organic systems plans and what it means for them. 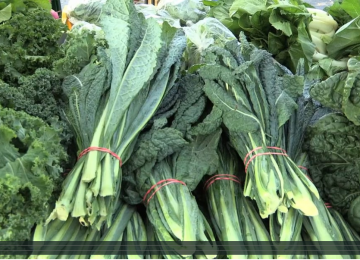 CONSUMERS’ PERSPECTIVES What do consumers care about when shopping for produce for their families? Hear directly from some who buy direct.